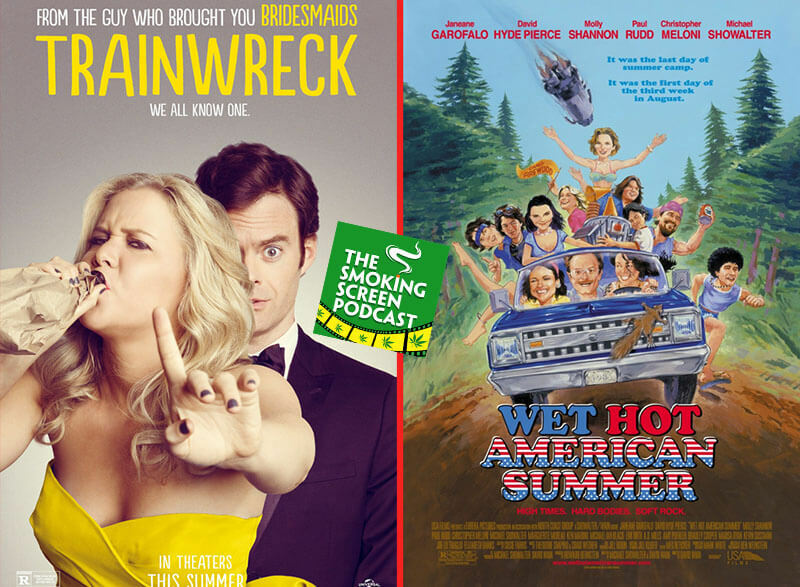 To celebrate the last weekend of the summer, Jay and Cybill get twice as high to review Trainwreck AND Wet Hot American Summer. Does the combination of Amy Schumer, Bill Hader and Judd Apatow provide comic gold? Is there anything LeBron James can’t do well? How good is Wet Hot American Summer? Could it be one of the best cult films of the century? Can we ever get too much of Paul Rudd? (No. No we can’t.) We toke a sendoff joint to the summer in episode 34 of The Smoking Screen! Come join the circle.